Ocean Beauty Seafoods, a major salmon buyer on the Kenai Peninsula both on the Homer Spit and at Nikiski, has ceased all its Cook Inlet operations. Ocean Beauty sent the news out in letters to commercial fishermen telling them of the transition, said Vice President Tom Sunderland. Pacific Star will now handle all of the buying transactions. Ocean Beauty Seafoods LLC, a pioneer in the Northwest and Alaska seafood industry, ranks among the largest and most successful seafood companies in the Pacific Northwest. It began as a Seattle seafood business in 1910 and has operated in Alaska nearly that long, Sunderland said. Ocean Beauty will continue its operations on Kodiak Island and Cordova, as well as its canneries at Naknek, Kodiak, Alitak, Cordova, Excursion Inlet and Petersburg. A salmon processing plant at Nikiski owned by Ocean Beauty for now isn’t going to be sold. Photos by Joseph Robertia, Redoubt Reporter. A hearty bowl of chili from the Albatross Restaurant and Lounge’s 18th annual Chili Cook-Off, which was held over the weekend. It was one of many chili cook-offs that took place around the peninsula. 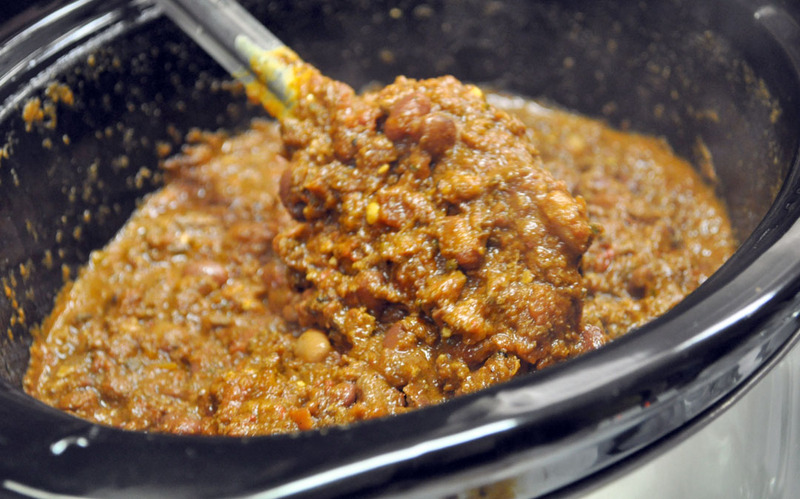 Eating chili is more of an experience than just a meal. The heat of the spices is as much felt as tasted, warming not just the mouth, but the whole body on a cold winter day. Since recipes generally result in large batches, a hearty bowl of meat and beans can satisfy appetites for sustenance, as well as a social outlet as winter wears on. Vinson said the event began as the brainchild of some of her employees. Mid-February is a time when many start to feel the effects of seasonal depression. Adding to the yearly blues, Vinson’s first husband was terminally ill midwinter, which also had Alby employees and patrons feeling down. They wanted to host an event that could bring them together and lift their spirits. “That first year we only had six chili entries,” Vinson remembered, but added that the event was such a success it returned the next and each succeeding winter. Photos by Joseph Robertia, Redoubt Reporter. 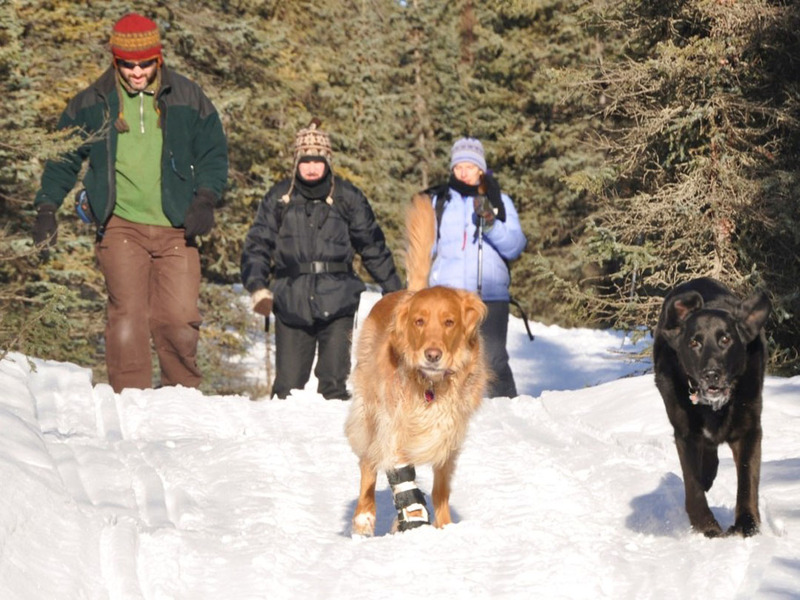 Kenai Peninsula Outdoor Club members, from left, Trevor Davis, Bruce Emerson and Marly Perschbacher, set off on a snowshoeing trip off the Kenai Keys Trail over the weekend, and get a little help from a couple of canine companions along the way. One certainty of life, especially in Alaska, is uncertainty. You don’t always know where the universe, much less your own feet, may take you. Case in point: Brian Beard, of Sterling, who on Saturday afternoon stared out at two large trumpeter swans gracefully floating through an open lead of the partially frozen Kenai River. With each step getting there, Beard heard the crunch of crusty snow give way underneath his snowshoes. He felt the chilly air — the temperature hanging in the single digits — bite at his cheeks and sting his lungs with each breath. He was several miles from where he had left his truck before venturing into the dense spruce forest. Yet he felt completely happy with where he was at that moment in time. Photos courtesy of Dante Petri. Ravens, or Butch Ridge, in Summit Pass just east of Lower Summit Lake, is seen in mid-December 2010 on a frosty evening. A year ago the mountain served as a stable go-to slope for backcountry skiers looking to tackle steeper gullies and aspects. 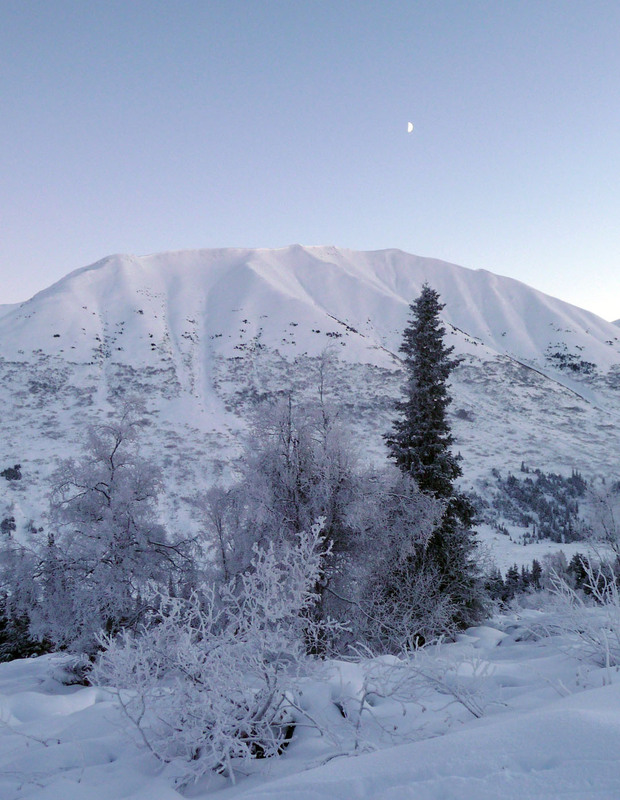 This winter, however, the same mountain came close to being a death trap for four Anchorage backcountry enthusiasts in late January when the slope they were climbing avalanched, proving no mountain is always safe. We’ve all at one time in our lives felt the pain of losing a friend who’s turned their back on a formerly close relationship. Sometimes we part ways because our lives have diverged and the things that once made us close are no longer. In other, less fortunate instances, the end is sharp and painful. As of late, I’ve had the feeling that I’m on the wrong end of one of those breakups. Just a bit more than a year ago the relationship in question was at an all-time high. I was spending quite a bit of time on a mountain — or a ridge line, really, in Summit Pass — that is often referred to as Butch, or Ravens Ridge. 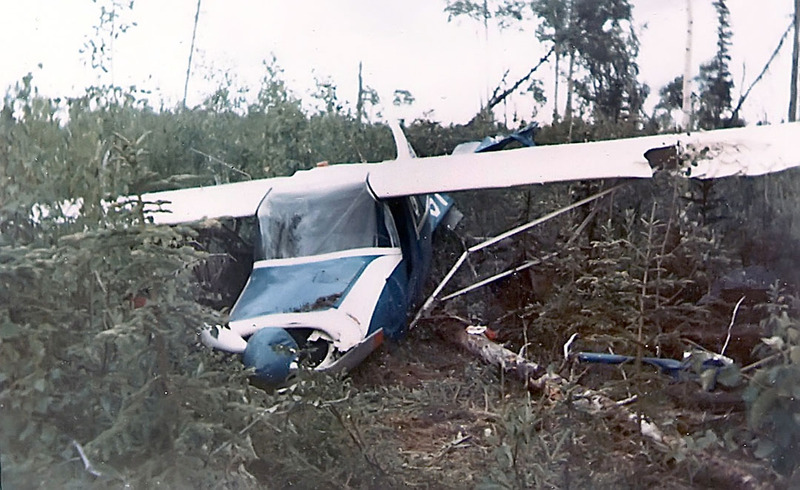 The four were rescued, three of them in bad enough shape they needed to be airlifted, but all with their lives. 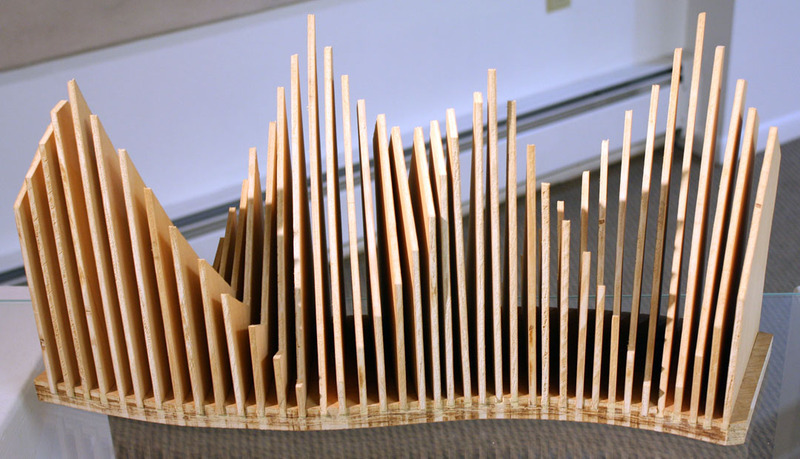 “Wave” by Clayton Hillhouse is part of the “Heart and Soul — Sculptures in Metal or Wood” exhibition on display at the Kenai Fine Arts Center. The Kenai River Council on the Arts has done a nice job putting on exhibits at the Kenai Fine Arts Center that add to the sense of it being a higher-end art gallery while maintaining the sensibility of a community-run center. Better late than never, even with this column, although our “Redoubtable” editor is certainly entitled to a different opinion. My excuse, of course, is that the computer ate my homework. Well, not exactly ate it. One of my office computers running the 64-bit version of Windows XP finally had its Windows installation go brain-dead after a year or more of me nursing it along and fixing Windows glitches along the way. The 64-bit version of Windows XP is pretty stable. Although it looks like the more-fragile regular 32-bit version of XP, the less-common 64-bit Windows XP is actually quite good. After all, its core software is derived from high-end 64-bit Microsoft business-network software that merely looks and acts like regular Windows. Still, after years of adding and deleting programs, and adding and removing hardware, something finally snapped. When you’ve got a system that been altered so much, it may not be possible to regain stability by continuing to tinker with Windows. Rather than spend more time trying to fix the old Windows system, it was clearly time to totally reformat the hard disk and start from scratch.